Home > Medication > How Are Headaches Diagnosed? A headache is vaguely defined as pain in the head that is located above the eyes or the ears behind the head, or in the back of the upper neck. It's something almost everyone will experience at some point in their life and for many, the pain and frequency can become unbearable, prompting a visit to the doctor. Many types of headaches have very clear-cut symptoms and lead to an easily recognizable pattern and diagnosis. Others, however, will need further investigation. Are All These Questions Necessary? Quality - Is the headache pain tightening, sharp, throbbing or pulsating? Intensity - How do you rate the pain? Is it mild, moderate, severe, or very severe? Location - Is the headache on one or both sides of head? Response to physical activities - Does exercise intensify the headache? Your doctor may also ask psychological questions to determine if you have any stressful influences in your life and if so, whether or not these might be contributing to your headaches. He or she may also refer you to a specialist for more detailed psychological questioning. Once your doctor has discussed your headache history, he or she may find it necessary to order several diagnostic tests. These tests are requested not only to diagnose your headaches, but to ensure that a serious disease is not the underlying cause. These types of tests may determine many medical conditions, including thyroid problems and infections, which can precipitate headaches. An MRI is more advanced than a CAT scan and functions by using magnetic fields and radio waves rather than x-rays. It can detect vascular abnormalities that may be causing your headaches. An EEG may be ordered to determine brain activity. EEGs can indicate a malfunction in the brain, but they unfortunately can't usually pinpoint a problem that might be causing a headache. Your doctor may request this test to confirm that a more serious illness isn't present. A CAT scan can detect conditions inside the brain by radiographically showing brain structures that indicate physical causes of headaches. An eye exam is performed to check for weakness in the eye muscle or unequal pupil size, both of which are symptoms of an aneurysm and which may then cause headache pain. A CT Scan and MRI will comparatively provide more information regarding the nature of your headache. Your doctor may still, however, request a sinus x-ray if he or she feels your symptoms warrant one. A spinal tap is often ordered to determine if an underlying disease such as meningitis is causing the headache. The procedure itself may even leave a patient with a lingering headache. 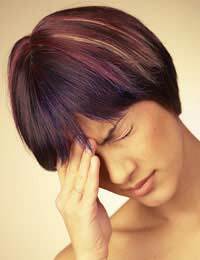 Headache treatment may be complicated and it's important that you understand the diagnosis. You may have to return for continued care and optimal treatment. Be sure to ask questions if you are unsure, particularly if you have concerns or confusion regarding the treatment plan suggested by your doctor. There may be dietary changes you will have to familiarize yourself with, or prescription medications side effects to understand. With so many types of headaches and an enormous range of symptoms among individual sufferers, seeing a doctor and possibly even a headache specialist is important in obtaining treatment for painful and persistent headaches. Treating your headaches begins with accurate and prompt diagnosis, so be sure to make an appointment to see your healthcare provider early on instead of suffering in silence. Good communication with your physician can help to keep your days headache-free.